Diet and depression share a love hate relationship. Eating too much or too little can both be warning signs. A healthy balanced diet will help you keep your mind and body healthy. The Bengali diet is a typical fish and rice diet.When I was young I often didn’t appreciate my mom’s fish-rice staple menu. The dinner menu could be different, but the lunch was nine times out of ten fishy. My mom’s a great cook so the food was great.But growing up watching masterchef ,I secretly wished we could have such variety at home too.Lucky me my mom gave us brain food. The traditional Bengali diet is a protein rich,diet with healthy fat and low glycemic carbon. Just what the researchers recommend nowadays. Improving my mind and it’s health is a passion.Helping your mind eat a little better is my goal. Food and your body is easy to understand.But did you know what you are eating ,is influencing your mind too. But does depression alter food patterns or altered diet affects your mind? Your sweet tooth will take an upper hand . 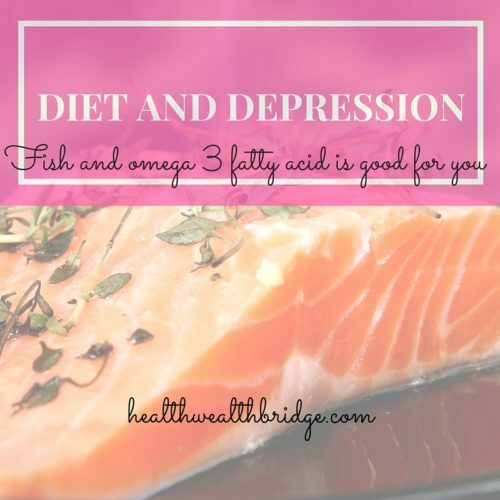 Have fish rich in omega 3 fatty acids . Fruits and veggies are important to give you the important water soluble vitamins like vitamin B,C,folate.Vitamin B complex and folate are both important to prevent relapse after therapy with antidepressants. *Check Vitamin D status and adjust daily dose. *Don’t skip carbs.Go for the low GI carbs and avoid sugar spikes . *Proteins specially animal proteins are complete proteins and have all essential amino acids for your body to function. Your brain chemicals or neurotransmitters are proteins. These neurotransmitters help relay info .They are also responsible for your moods.Serotonin is the mood elevating neuro chemical .You need tryptophan an amino acid to make this chemical. Where will you find tryptophan? Now this may go against all fad diet recommendations.But you do need certain food to function. *Try to avoid processed food. Most research will tell you your total diet quality is important. Food not only nourishes your body ,it also nourishes your soul. Mood disorders like depression, anxiety ,OCDs are influenced by your diet. Your diet will be helping your medicines .It will lso play a role in deciding how much you are helped. Whether you can be weaned off drugs and whether a relapse is possible. Interestingly your gut microbes may be playing a role in influencing your moods.Its quite common that when your bowels are not moving ,your mood us off. There’s actually more to gut feeling than you previously thought. Your gut microbes may be releasing special neurotransmitters which affect how you feel. More reason to keep your gut populated by healthy probiotic organisms. This research is still in its early stage. But emerging trends make this an interesting possibility. What’s your diet tip to keep your mood up? Yes diet can have a direct effect on your brain too. Depression or mood swings all can be due to poor eating habits too.A healthy diet with fruits and vegetables can help fight different diseases. I agree that sudden hunger planks emerge that needs to be controlled. Usually I take chocolates when I am depressed and it helps me instantly. This is kind of eye-opener for me. I always thought in depression people just over eat of don’t eat, had no inkling that insufficient nutritional diet can also lead to one such issue. Oh Dipika, food does heal.The right kind.The problem is the propaganda about the wrong types and when we do know its late.But better late than never! Being a Bangali I love my fish but have it twice a week. Is it a good idea to up the intake. A very informative article indeed. Thanks Natasha.Fish is very important indeed. I’m not into sea food at all! I use omega 3 supplements & I know it’s not as good as the real deal!!! 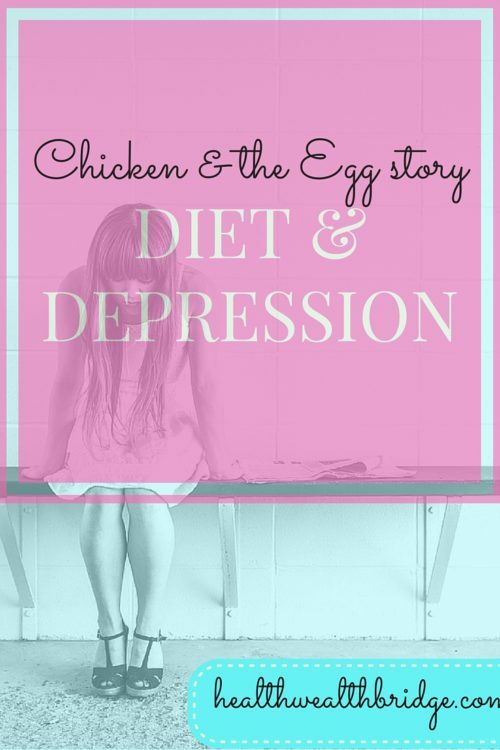 I had no idea that Diet and Depression could be interlinked. Very detailed and informative article, Dr Amrita. Food has a deep relationship with our brain.We do have our favourites for comfort right!